American workers who have had their jobs outsourced to foreign workers and offshored to foreign countries are “very irate” over President Trump’s recent support for more U.S. job outsourcing through the H-1B visa program, advocates tell Breitbart News. In a Twitter post last week, Trump reversed course on his “Buy American, Hire American” executive order, saying he wants to offer a pathway to U.S. citizenship to the hundreds of thousands of foreign workers living in the country on the H-1B visa. American workers are outraged by the betrayal, Protect U.S. Workers Attorney Sara Blackwell exclusively told Breitbart News on SiriusXM Patriot’s Breitbart News Sunday. 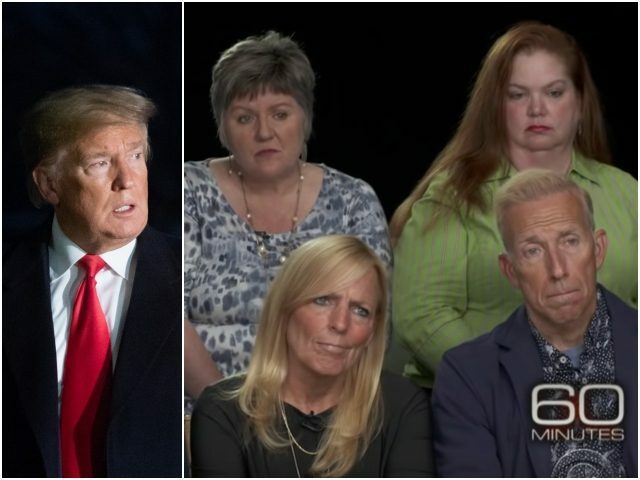 Blackwell and outsourced American workers rallied with Trump in 2016 on the campaign trail, where the crowds cheered as then-candidate Trump blasted multinational corporations like Disney for laying off Americans and replacing them with foreign workers. Jay Palmer — a visa fraud expert and whistleblower against Indian outsourcing firm Infosys — exclusively told Breitbart News that he hoped Trump was aware of what the pro-outsourcing plan would do to American workers who have yet to be laid off and replaced. Online, Trump was blasted by pro-American worker groups like “Save American Information Technology Jobs” which chronicles and tracks the outsourcing and offshoring of U.S. jobs to foreign workers and foreign countries. Blackwell said Trump’s lack of reforms to restrict corporations from outsourcing American workers’ jobs through the H-1B visa program have already turned off a number of former supporters. Should there be no reforms in his first term, Blackwell said many will drop off the “Trump train” entirely in time for the 2020 presidential election. “I’m being called by thousands of people on a regular basis being fired and replaced by these ‘high-skilled’ people, they’re not … it’s a business model where they are pouring in this cheap labor so that the CEOs can make billions of dollars and bonuses and it is not, the H-1B, has not been used as a high-skilled visa,” Blackwell said. Business attempted to outsource nearly 420,000 American jobs in Fiscal Year 2018 to H-1B foreign workers rather than hiring U.S. workers. As Breitbart News previously reported, more than 2.7 million H-1B foreign workers have been approved to come to the U.S. to take American jobs between 2007 and 2017. During that same period, businesses tried to outsource almost 3.5 million American jobs to foreign workers instead of hiring Americans. Nearly 70 percent of all H-1B foreign workers replacing Americans are young, Indian male nationals. About four million young Americans enter the workforce each year, many looking for white-collar jobs in the STEM fields. Those Americans’ prospects of finding work are crippled by the country’s legal immigration process, which admits more than 1.5 million immigrants and hundreds of thousands of foreign visa workers annually. Already, the wage-cutting business scheme has led to foreign-born workers overwhelmingly outnumbering Americans in the tech industry in Silicon Valley, California.